3. Craft the leading technologies and philosophy of this product into compelling and powerful stories and visualizations. 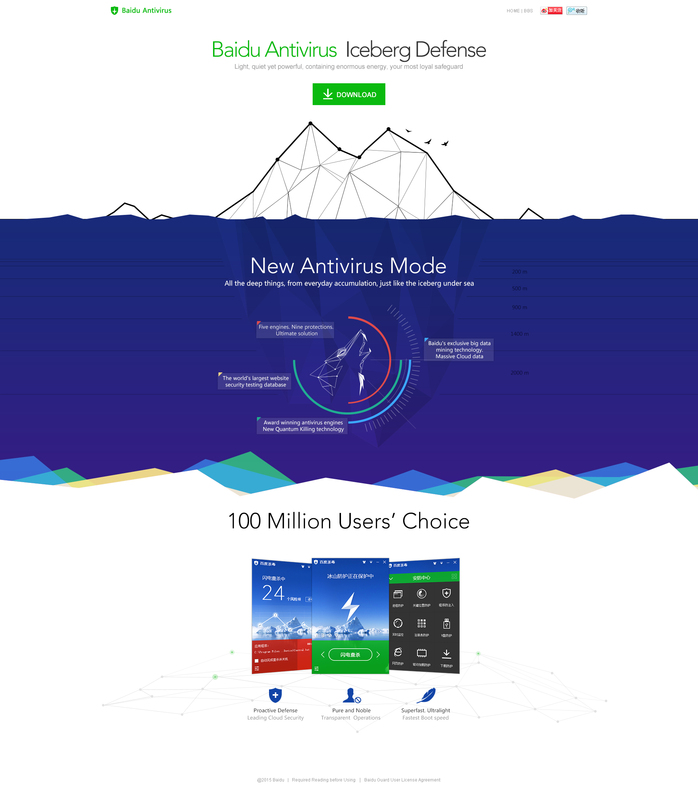 I designed a series of landing pages for Baidu Security. By understanding the audience’s pain points, I chose different styles and content to target different users. The impact: Peak conversion rate of one single page reached 62% with an average conversion rate of 30%. 1. From the development team, we got top 100 keywords the user used in a search to find our product and competitors’. 2. We sorted the keywords to organize and prioritize. Then sorted categories of landing pages. 3rd screen – the user’s computer is connected to a data network of viruses and being constantly scanned by Antivirus Engines. 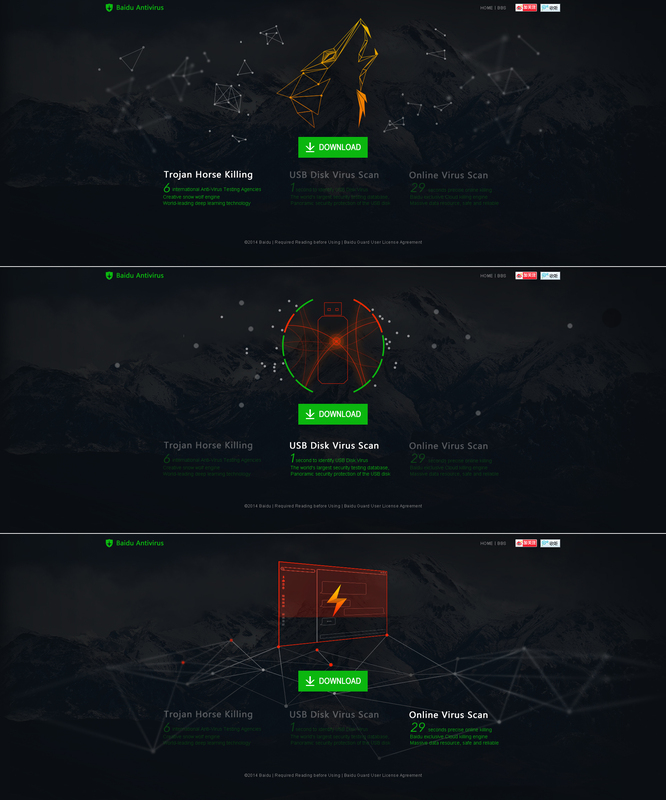 Our main focus was to expand brand exposure through interactive and engaging visual design and animation of an Iceberg Defense System. As the animation showing on the right, I used the changing perspective of icebergs to connect the three scenes. The first screen introduces a large headline to grab the attention of the user. While the image is quite simple, which nudges the user to scroll down for more details.